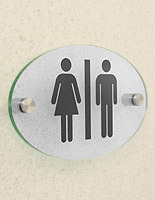 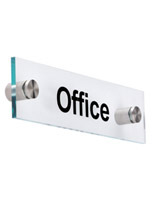 3" x 6" 4" x 10"
These acrylic door signs feature two aluminum standoffs that keep them a distance of 0.375" from the wall. 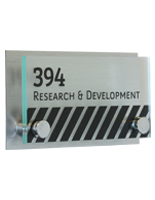 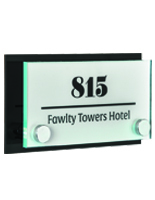 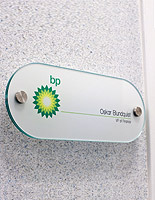 The name plates' hardware features a chrome finish that will blend into any wayfinding information or company logos. 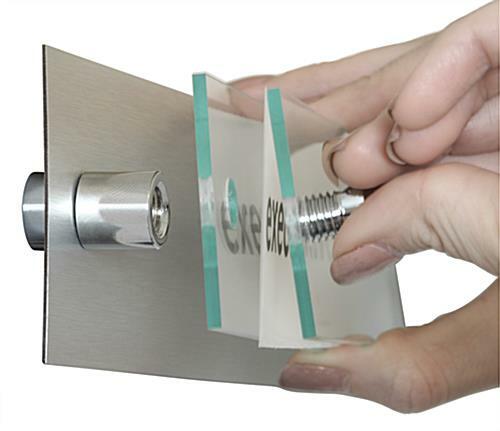 Each of the door signs can easily be customized by printing onto the included templates and fitting them between the 8" x 2" plastic panels. 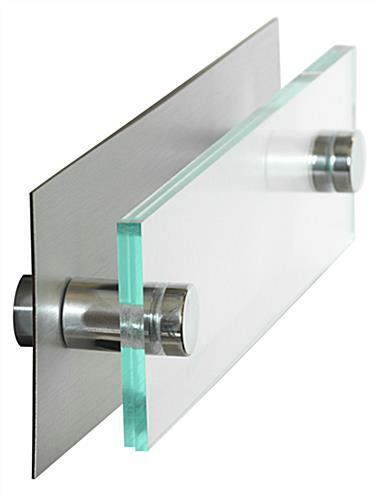 The silver finished aluminum hardware features a through-grip design that goes well with their sleek design. 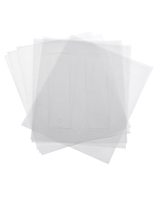 The wall signs include three clear film sheets and three frosted sheets that will go with messaging. 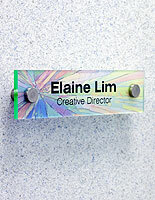 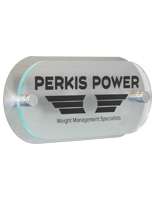 These name plates are also offered in 3" x 6" and 4" x 10" sizes and the option of black spacers. 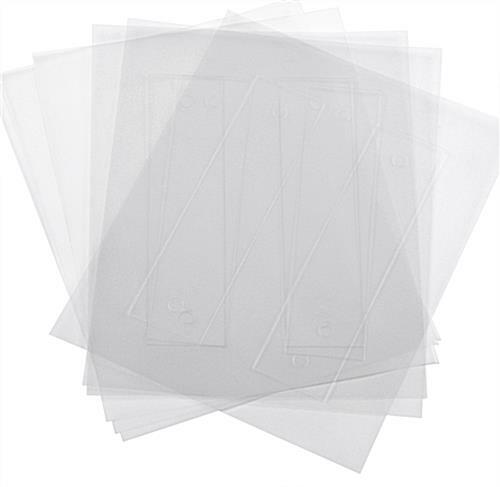 8.3" x 2.5" x 1.5"